GEO take the quality of our service and our MOT equipment very seriously and as such we have put a lot of effort into streamlining our manufacturing, distribution and installation processes to be able to provide our clients with a highly professional service that sets the standards for other MOT Bay suppliers to follow. The full range of MOT Equipment supplied by our company is approved by the DVSA and carries a full 2 year parts warranty and CE certification. Whatever MOT Bay you choose you can count on GEO to help you through the application and installation process from start to finish, our project management team will assist your business with CAD drawings for submission to the DVSA, filling out your VT01 form and any other paperwork that may be required to get your MOT Testing station operational. 4 Post Lift ATL Bay. GEO keep high volumes of spare parts for our range ATL lifts in stock so you can rest assured that in the event of an equipment breakdown we aim to have all replacement parts delivered to your place of business within 24 hours of receiving your call. Our aim is to always make sure that you are entirely happy with the MOT Equipment Package purchased and that the ATL Bay provided by our company not only meets with but exceeds your expectations, by paying close attention to the needs and requirements of our customers we aim to ensure outstanding repeat customer rates and industry referrals. GEO offer an industry leading 2 year parts warranty on all GEO Branded ATL Packages sold by our company on all Crypton MOT Bays there is a 3 year on-site parts and labour warranty that is unrivalled within the industry, our entire selection of MOT test equipment carries CE certification and fully conforms to all current UK and European legislation. The entire range of ATL lifts is available with next day delivery to most UK destinations if ordered before 10am and European and rest of the world delivery usually within 14 to 28 working days depending on location, GEO can also arrange for the installation of your ATL MOT BAY at highly competitive prices. Simply choose the testing equipment that best suits your garage's requirements from the selection below and let GEO take care of the rest, call Garage Equipment Online today on +44 (0)151 601 4945 to receive an amazing deal on your new MOT Bay and to experience the very best after sales service available in the garage equipment industry. The GEO Optical Mirror Visor attachment allows simple alignment with the longitudinal axis of the vehicle. Headlight beam testers are of course supplied as part of our class 4 and class 7 ATL MOT bay packages, but should you simply require a headlight beam tester as a single item or as a replacement for your existing MOT bay you can get one right here. 1x Class 4 ATL 4 Post Lift, the lift features 4.6 metre platforms. Garage Equipment Online can arrange for any required ground works i.e. recessed brake testers or lifts at highly competitive prices. 1x Heavy Duty Class 7 ATL 4 Post Lift, the lift features 5.2 metre platforms. 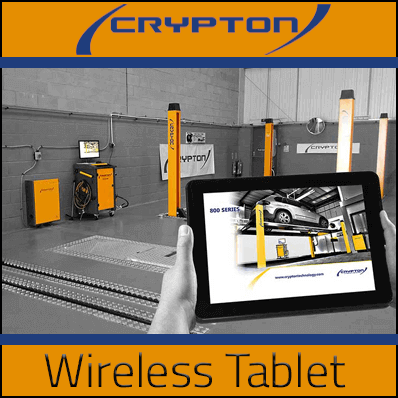 Garage Equipment Online will provide you with your very own personally appointed project manager to assist you with the installation of your Class Seven Automated Test Lane MOT Bay. We will provide you with help and assistance every step of the way including assisting you with filling out your VT01 application form. Garage Equipment Online will also assist you in liaising with the DVSA.